Approximately 68 percent of U.S. adults are overweight or obese, according to the National Cancer Institute, which puts them at greater risk for developing cancer, cardiovascular disease, diabetes and a host of other chronic illnesses. But an international team of scientists led by Virginia Commonwealth University Massey Cancer Center researcher Andrew Larner, M.D., Ph.D., has successfully reversed obesity in mice by manipulating the production of an enzyme known as tyrosine-protein kinase-2 (Tyk2). In their experiments, the scientists discovered that Tyk2 helps regulate obesity in mice and humans through the differentiation of a type of fat tissue known as brown adipose tissue (BAT). Published today in the online edition of the journal Cell Metabolism, the study is the first to provide evidence of the relationship between Tyk2 and BAT. Previous studies by Larner and his team discovered that Tyk2 helps suppress the growth and metastasis of breast cancer, and now the current study suggests this same enzyme could help protect against and even reverse obesity. 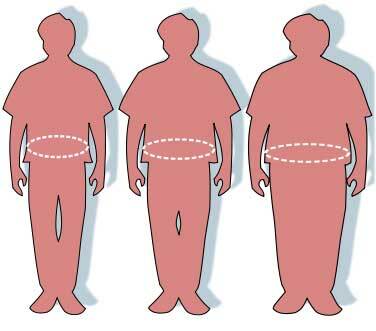 There are two different types of fat – white adipose tissue (WAT) and BAT. WAT is the primary site of energy storage. BAT is responsible for energy expenditure in order to maintain body temperature. BAT deposits are present in all mammals, but until recently, scientists thought BAT was only active in infants and not in adult humans. Only in the last four years have scientists realized that BAT is present in adults and helps to regulate energy expenditure. Additionally, research has shown that diminished BAT activity is associated with metabolic syndrome, a combination of medical disorders that increase the risk of developing cardiovascular disease and diabetes. Researchers estimate metabolic syndrome could affect as much as 25 percent of the U.S. population. Larner collaborated on this study with Marta Derecka, Magdalena Morgan, Vidisha Raje, Jennifer Sisler and Quifang Zhang, all from the Department of Biochemistry and Molecular Biology at VCU School of Medicine; Tomasz Kordula, Ph.D., Cancer Cell Signaling program member at VCU Massey; Agnieszka Gornicka, from the Cleveland Clinic Foundation; Sergei B. Koralov, Ph.D., from New York University Medical School; Dennis Otero, Ph.D., from the University of California; Joanna Cichy, Ph.D., from Jagiellonian University in Krakow, Poland; Klaus Rajewsky, Ph.D., from Harvard Medical School; Kazuya Shimoda, M.D., Ph.D., from Miyazaki University in Japan; Valeria Poli, Ph.D., from the University of Turin in Torino, Italy; Brigit Strobl, Ph.D., from the University of Veterinary Medicine in Vienna, Austria; Sandra Pellegrini, Ph.D., from Institut Pasteur in Paris, France; Thurl E. Harris, Ph.D., and Susanna R. Keller, M.D., from University of Virginia School of Medicine; Patrick Seale, Ph.D., from the University of Pennsylvania School of Medicine; Aaron P. Russell, Ph.D., from Deakin University in Burwood, Australia; Andrew J. McAinch, Ph.D., from Victoria University in St. Albans, Australia; Paul E. O’Brien, M.D., from Monash University in Melbourne, Australia; and Colleen M. Croniger, Ph.D., from Case Western University School of Medicine.